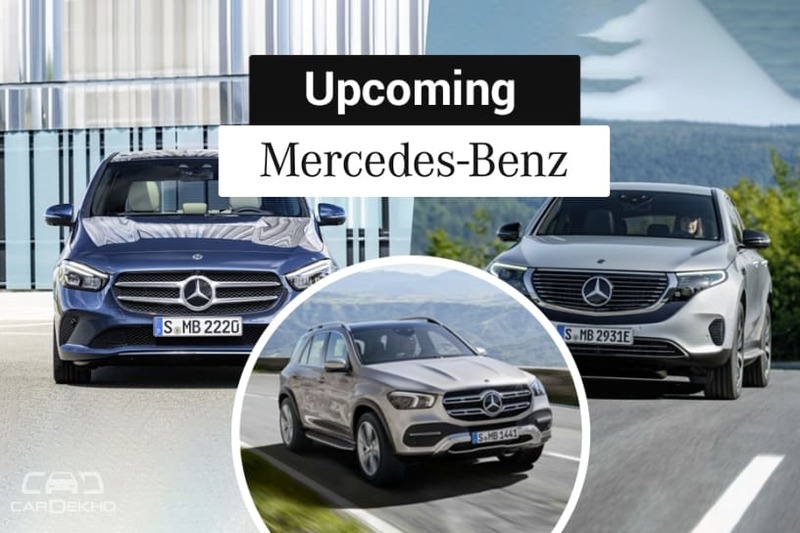 Mercedes-Benz has released the timeline of its new products that are scheduled to debut in 2019. Apart from new generation of cars like the CLA, GLS and B-Class, the carmaker has listed an “8th compact car”, which will be revealed in the latter half of 2019. Let’s look at each vehicle’s global unveil and estimate when it could make an entry in the Indian car market. Third-gen B-Class was unveiled at the Paris Motor Show 2018. Takes practicality to a new level with adjustable rear seats. That will allow you to increase the cargo space as well. The new B-Class will also get a 4MATIC AWD option, which will add some more practicality to the package. Will be available with a 2.0-litre diesel engine and 1.3-litre petrol unit. Expected Mercedes-Benz to announce the prices of the B-Class in some markets in the first calendar quarter of the year 2019. It remains to be seen if it will be launched in India or not. The current B-Class comes to India as a CBU, with prices starting from Rs 31.99 lakh and ending at Rs 33.03 lakh (ex-showroom). The B-Class is currently available with a 2.2-litre diesel and a 1.6-litre petrol engine in India. The thumbnails suggest that the CLA 4-door coupe will be available in first half of the next year. The CLA will also get a Shooting Brake version, but we expect India to get the 4-door coupe only, like the current version. The CLA Shooting Brake (Estate) seems poised to launch in the third quarter of 2019. Currently, India doesn’t get the CLA Shooting Brake but we are hopeful that the updated version will also make its way to our market. We expect the CLA 4-door coupe to come to India in 2020, since Mercedes-Benz might want to establish the A-Class in India first in 2019. We expect the A-Class LWB to come to India in 2019 and sit above the current CLA in Merc’s lineup. Price for the current CLA starts from Rs 31.72 lakh in India. The CLA is currently available with 2.2-litre diesel and a 2.0-litre petrol engine options in India. The GLC and the GLC Coupe will get a facelift in 2019. Expect the updated version to get minor cosmetic changes on the outside but with a bigger serving of features. Expect the GLC facelift to come to India by 2020. The Indian version will get BSVI engines at launch. At present, prices for the GLC facelift start from Rs 50.40 lakh and go up till Rs 77.42 lakh. Choices under the hood include the 2.2-litre diesel, 2.0-litre petrol, and a bigger 3.0-litre petrol on the AMG variant of the SUV. Mercedes’ electric vehicle will mark the beginning of the EQ sub-brand for the company. Its production has already began in Bremen and is scheduled to reach showrooms by mid-2019. Mercedes-Benz is still evaluating launching electric vehicles in India. Rival luxury carmaker Audi has revealed its intention to enter the electric vehicle segment in India soon. Will that propel Merc to introduce its EQC EV in India? Only time will tell. Mercedes-Benz’ current flagship SUV is set for a major overhaul. The carmaker will debut the new-gen GLS in 2019. The new GLS has already been spotted testing. Like the current version we expect the new model to sport a 3-row seating layout. If it will be revealed in the second half of 2019, which will be the case in all likelihood, the new GLS is not coming to India next year. The 8th compact car that Mercedes-Benz has mentioned in its slide could be the recently spied GLB compact crossover SUV. It is scheduled for an unveil late 2019. Like its name suggests, the GLB will sit between the GLA and GLC in Merc’s lineup. Mercedes-Benz offers both the GLA and GLC in India. We expect the GLB to come to India as well. The GLB’s rival will be the BMW X2, which is expected to make an entry in the Indian car market in 2019-20. Expect the GLB to come to India with both petrol and diesel engine options. We expect prices to be in the Rs 40 lakh to Rs 50 lakh range. Which one of these Mercs are you looking forward to? Let us know in the comments below.